In 1995, when the Internet was still too young and too slow, I thought that maybe in the future it might be possible to have just a monitor and keyboard, and keep all hardware and software far from home in a distant location which is supervised by a fully qualified IT staff. I thought it’s a distant future and I was looking through rose-colored glasses. 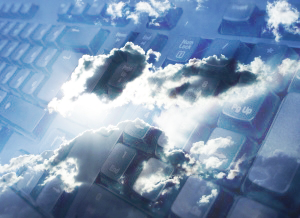 Today, the idea of Cloud Computing is not only technically possible but it even becomes ubiquitous. Hundreds of companies all around the world already use SaaS models (Software as a Service) instead of using e.g. Exchange, SharePoint or SQL Servers since they think it saves time and money. Is it true? Well… the boot is on the other foot actually. It turns out that companies providing Cloud Computing services hardly ever guarantee a 100 per cent protection. Wouldn’t you feel unsafe to keep your belongings, documents, years of your work in somebody else’s house? And believe those guys provide a full-time access, fire/burglar (virus) protection and that they don’t read and sell your data? Take a look at this PCWORLD article about a company that lost millions and almost went bust because they had thought they would save on Cloud Computing. We still believe that boundless trust in the internet security is just not right. Thus we develop CodeTwo Public Folders which is very easy to use and protects your files for free since it keeps them in your own network. If you’re looking for an inexpensive alternative to Exchange and want to share Outlook data and enhance your teamwork, you have to give it a go. The questions are: How many times we hear hackers stole data? And how many times we don’t know hackers stole our data?